Johann Heinrich Redeker (1682 – 1764), court clerk and clerk of the treasury in Harpstedt and Hannover, is well known amongst urban historians for his Hanoverian chronicle. Less known, but highly fascinating are Redeker’s historical-topographical reports, written about his hometown Harpstedt: Collectanea, gathered things, concerning the ancient fortress and the municipality, from the very first beginnings of their history to the tumultous times of the early 1800s. This part of Lower Saxonian History is exciting, detailed, and multifaceted in its liveliness, and very nearly it would have been lost forever: the original manuscript was turned to cinders in Second World War. Most of the text content as well as many of the manuscript’s drawings have been preserved via the transcriptions and photographs of local historian Robert Grimsehl. Herbert Bock has reconstructed Redeker’s reports from these sources and is now presenting a commented first edition of the Collectanea. Herbert Bock has been engaged in research into the local history of the Harpstedt region for many years. After his retirement, he studied medieval and early modern history, geography, and political science at the University of Vechta. 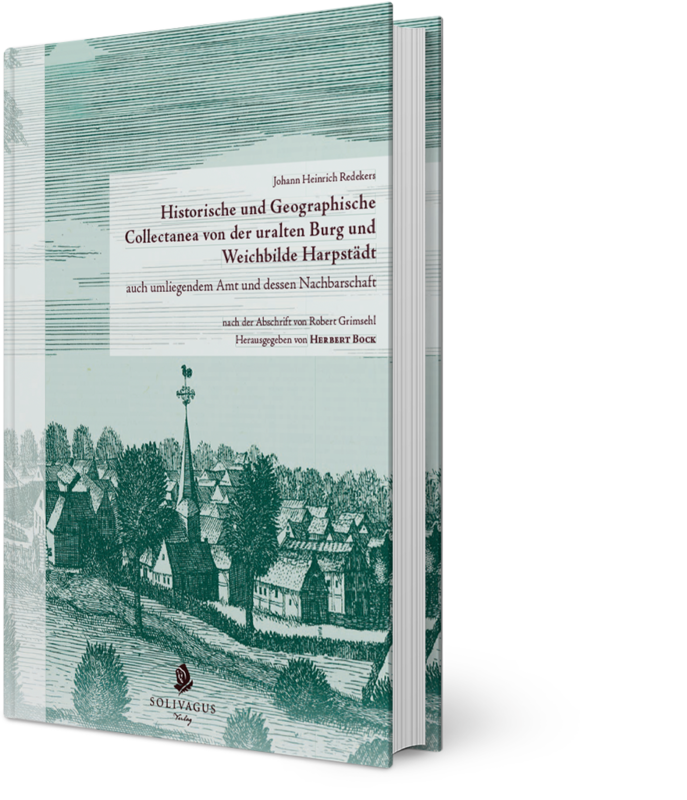 He earned his PhD with a study about the history of the region around Harpstedt and its peasant dynasties.